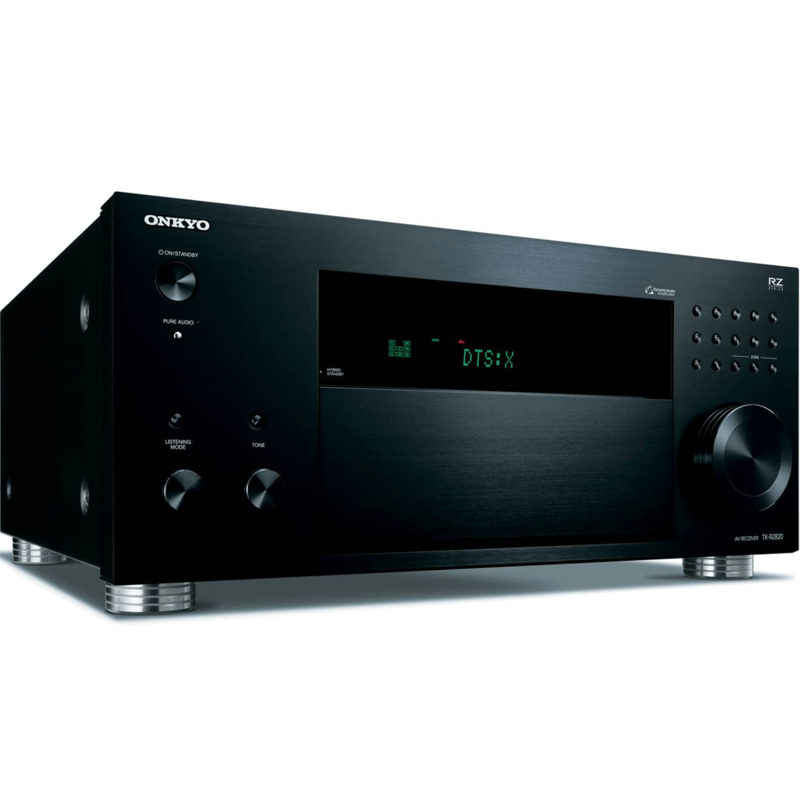 Upgrades to the Onkyo TX-RZ820 Network A/V Receiver—our THX Certified Select 7.2-channel flagship—result in genuinely spectacular sonic performance. Dynamic Audio Amplification delivers instantaneous high-current power to full-scale speakers for thrilling energy and lifelike transient response across a wide 5 Hz–100 kHz spectrum. VLSC on all channels and non-phase-shift circuitry clarify details floating in three-dimensional space. 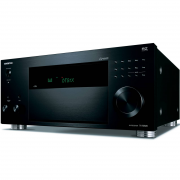 Decoding Dolby Atmos and DTS:X, the receiver also supports Dolby Vision, HDR10, HLG (Hybrid Log-Gamma), and BT.2020 video pass-through, and is set up for custom installs. 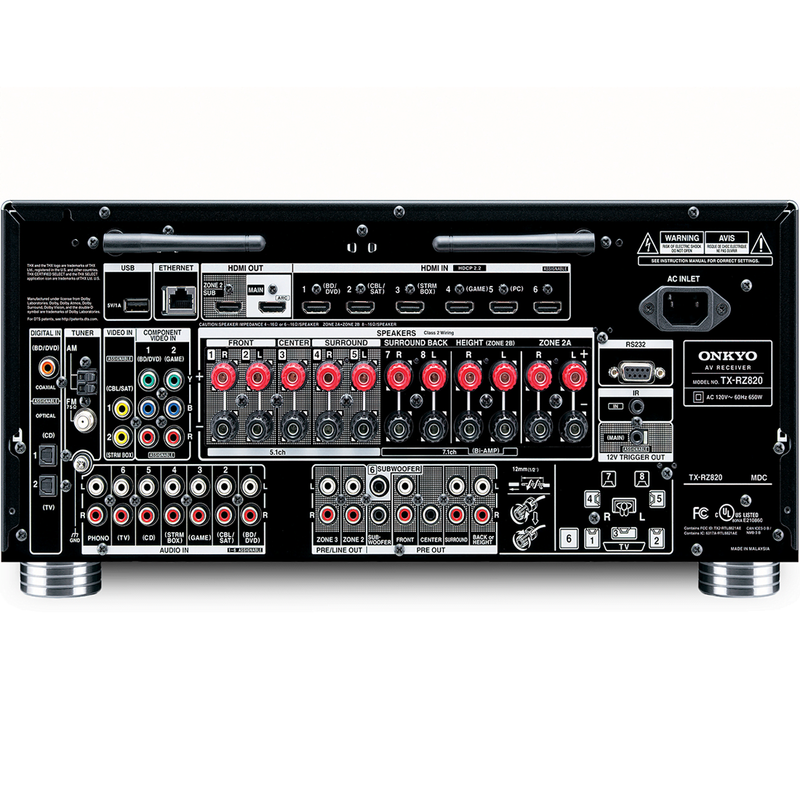 Our premium RZ Our premium RZ Series A/V receivers deliver a significant boost to the dynamism, detail, and accuracy of music and movie soundtracks for a listening experience that packs deep emotional impact. 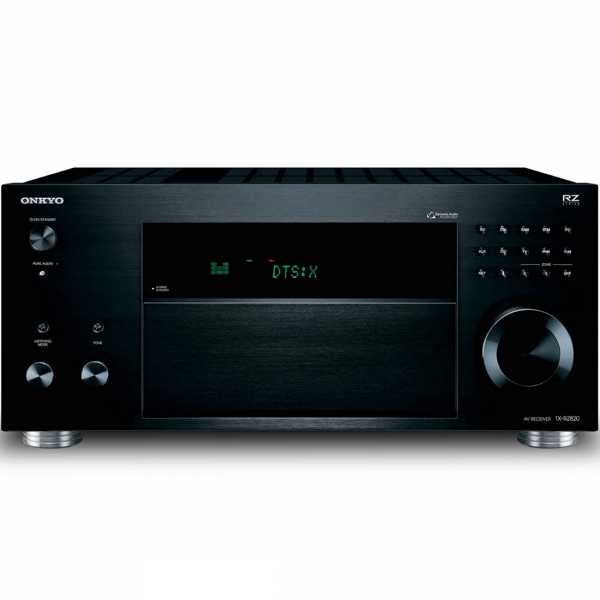 The Onkyo TX-RZ820 features quality components, such as large custom capacitors, to provide high instantaneous current for fast transients and wideband frequency response down to 5 Hz. Discrete non-phase-shift amp circuits clearly focus the audio image and cut distortion even at floor-shaking volumes. THX Certified Select guarantees the same high-volume sound you experience at a commercial theater in your home. To gain certification, amplifiers must pass the industry’s most severe bench-tests covering every aspect of audio performance. THX Certified Select components are ideally suited to rooms where the screen-to-seat viewing distance is approximately 3 meters (10 ft.), and the room volume is approximately 57 cubic meters (2,000 cubic feet). DTS Neural:X identifies spatial effects in multichannel soundtracks and upmixes for 3D playback through object-audio-ready speaker systems. Dolby Surround also upmixes legacy sound formats so you can experience multidimensional playback of legacy sound formats in a Dolby Atmos environment. Pre-outs for Zone 3 as well as Powered Zone 2A/B capability opens up distributed audio options throughout the home backed by dedicated Zone 2 and Zone 3 DACs. Object-based soundtracks allow independently mixed sound to play through any speaker in your system, moving above and around you with breathtaking realism. The Onkyo TX-RZ820 reproduces 5.2.2-channel Dolby Atmos or DTS:X formats, with AccuReflex correcting the phase of direct and indirect sounds for cohesive audio imaging with Dolby Atmos-enabled speakers. 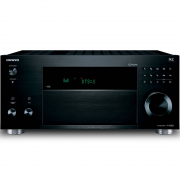 Stream any music from your smartphone, laptop, or PC to the Onkyo TX-RZ820 with ease. Control playback with Chromecast enabled apps you know and love from your iPhone, iPad, Android phone or tablet, Mac or Windows laptop, or Chromebook. The DTS Play-Fi app for iPad, iPhone, Android, Kindle Fire, and Windows PC lets you stream from online services, media server, or device library over Wi-Fi to any number of compatible speakers. 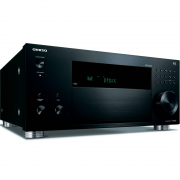 DTS Play-Fi connects systems for synchronized music in every room, and can stream different music to different rooms from the same device. Speakers can be used individually with unique devices at the same time, and lossless audio is supported. Six rear HDMI inputs, Main Out, and Zone 2 Out support pass-through of HDR10, HLG (Hybrid Log-Gamma), and Dolby Vision; the BT.2020 4K video standard; 4K/60 Hz video playback; and HDCP 2.2 for premium video content. Front HDMI terminal is ideal for video camera connection, while the Zone 2 output distributes home theater video to a display in a second room. 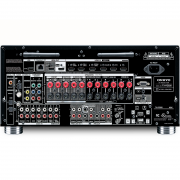 With 7.2-channel pre-outs, 12 V trigger, IR input, and optional rack-mount kit, the Onkyo TX-RZ820 easily integrates other components (such as outboard amps) to create a full wired multi-room setup thanks to Powered Zone 2A/2B and Zone 2/3 Pre-/Line Outputs governed by a Whole Home Audio Mode and supported within Onkyo Controller. RS-232 and IP Control via LAN are ready for home automation systems. Vector Linear Shaping Circuitry is a mouthful, so we call it VLSC. This circuitry virtually removes digital pulse noise for a smooth analog signal. 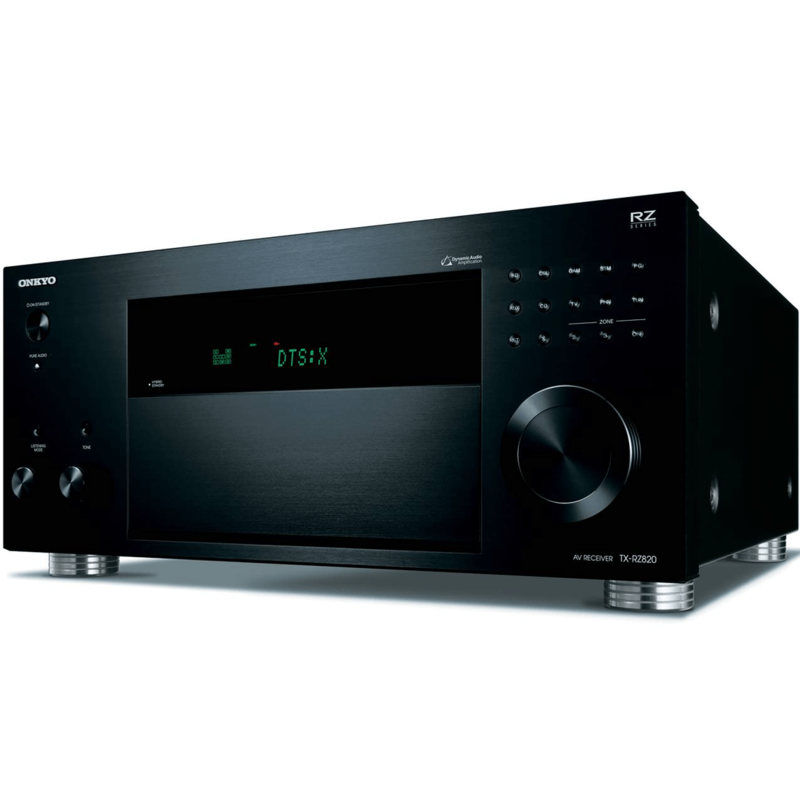 The Onkyo TX-RZ820 focuses VLSC on the front left and right channels. Data is converted between sampling points and these points are joined with analog vectors in real time to produce a smooth output wave form. The result is a virtually noiseless, smooth, analog signal based on the digital source. It brings out even the most subtle of nuances in audio sources.